Image: Dr May Lim with some of her students at the 2017 graduation ceremony. From left to right: Dr May Lim, Sidney Liu, Dan Allen Zamora, Armaan Bharucha and Matthew Rogers. Dr May Lim is the most recent Engineering academic to join the ranks of the Scientia Education Academy. We asked her to share with us her thoughts about education and what it means to be part of the Academy. What does it mean for you to be part of the Scientia Education Academy? I felt very humbled and grateful for the opportunity. When I read up on the profiles and achievements of the other Scientia Education Academy Fellows, I realised I have big boots to fill. What do you hope to get out of being a part of the Scientia Education Academy? I hope to connect, interact and collaborate with more UNSW colleagues from other schools and faculties, so I can learn about their teaching approach and philosophy, and grow as an educator. I also hope I can contribute to the L&T communities at UNSW. Education, for me, cannot flourish in isolation. What do you plan to contribute to the Academy? I am a Chemical Engineer and what we are supposed to be good at is systems and processes — pulling together all the nuts and bolts that are required to do great things at scale. As UNSW shifts towards digital learning and teaching, there will be many new opportunities and challenges for large faculties like Engineering and Business. I hope some of my experience as an engineer can help answer the questions we are grappling with at the moment: How do we implement digital and personalised L&T at scale? 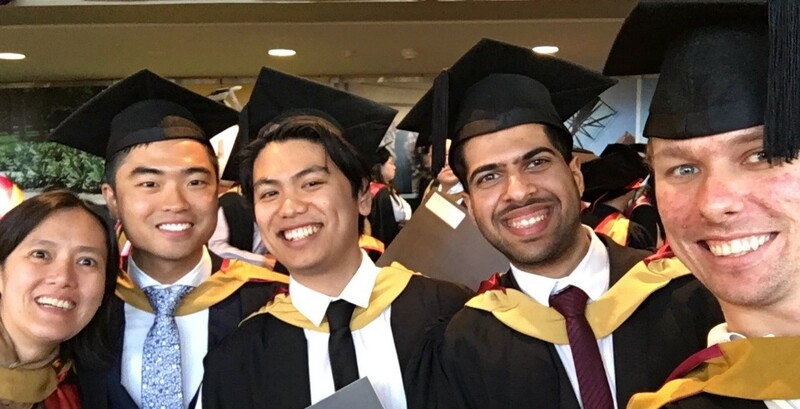 How do we ensure UNSW delivers quality education at every level and for everyone? How do we nourish the teacher-student and student-student relationships that are at the heart of every education success story? What ideas, principles or beliefs are central to your teaching philosophy? Ideas: Education is a gift that keeps on giving. Spend time and effort on the things that do count, and money on the things that don’t. Principles: Don’t be afraid to break things. Be accountable — education fails when someone cheats or takes a short cut. Beliefs: Any teaching that doesn’t kill you will make you stronger (and wiser!). Is there a project or initiative that you would particularly like to participate in or get off the ground as part of your involvement in the Academy? Until recently, I was the Industrial Training Coordinator for UNSW Chemical Engineering. In this role, I came to know many of my students beyond just their student number. I was dismayed to find most of them would graduate from UNSW with a WAM that reflects their attainments in a rigid academic program and little else. This is a disservice to our students, especially when we are heading into a future where the need to upskill is occurring in a much shorter time frame, and life changing decisions are made by computer algorithms based on whichever data is available. So, I want to be involved in university-wide project or initiative that offers students the flexibility to personalise their learning, or one that captures comprehensive and authentic information about the students’ capabilities and capacity to learn, adapt and grow. A system like this would also give us some data about education quality. The Academy is the right platform to discuss, debate and cooperate on for initiatives of this nature and scale. What would you like education to look like at UNSW, in an ideal world? Not like Harvard! The Ivy Leagues are so exclusive, applicants now rely on legacy preference or paid coaching in order to gain admission. UNSW is a well-resourced university where any committed student from anywhere and any background is guaranteed a good education. And at the same time, like Harvard! UNSW offers breadth and depth in academic and extracurricular experience, taught by the best educators. UNSW is where all students can learn. UNSW is also where the best educators are trained and head-hunted! And a passionate alumni community that continues to engage with UNSW years after they step off the stage in the Clancy auditorium.